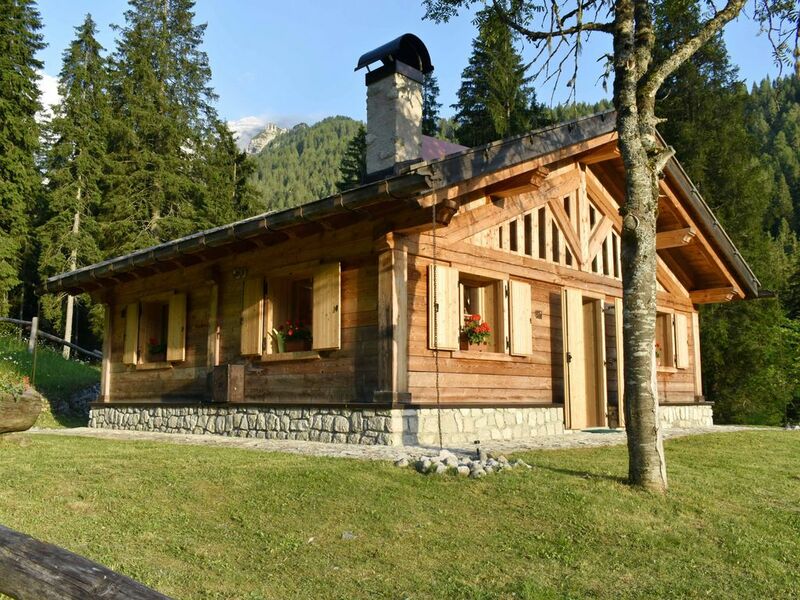 This is a typical mountain chalet completely renovated in larch wood. It is 65 square meters large with a living area with kitchenette and dining area, double bedroom, bedroom with bunk bed and bathroom. In the central part has been created a mezzanine, accessed by a vertical ladder (not suitable for children), where there are 2 more beds. The chalet is built with traditional architectural features but with cutting-edge techniques that allows it to have minimal environmental impact. It is equipped with the "CASA CLIMA" certification, electricity is completely produced by solar panels. It is located at the end of Via Vallesinella, near the car park and Vallesinella Hut/restaurant bar, about 3.5 km from the center of Madonna di Campiglio where are all shops and services. This area is in the Adamello Brenta Park during the day the street to get to chalet is regulated by the Park operator, clients will have a permission to enter following the bus. Accomodation is suitable for hikers, bikers, a lots of them come through here, this is the main gateway for fantastic walks to the Brenta Dolomites, to get to Brenta Huts Casinei, Brentei, Tuckett, Alimonta, to visit Vallesinella waterfalls and ancient and traditional mountain pastures, to living a holiday in true mountain spirit. NO TV, NO INTERNET for a DETOX holiday.